Facebook Local is the social network’s latest app feeding from its plethora of information. However, instead of allowing you to publish pictures of babies that your other half didn’t want you posting, or lending data to Cambridge Analytica, Local lets you search for things to do in your vicinity. Facebook’s events section has always seemed an excellent but underdeveloped section of the network, but this new app gives it its own space and chance to become something more than just an add-on. 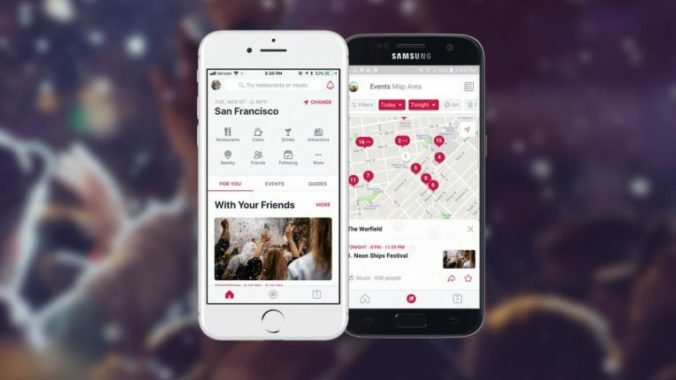 Facebook Local is actually a rebranded version of its Events app. It was relaunched in November 2017, but this week became available via Google and Apple’s official app stores. The new lick of paint it received is probably loaded with lead; the app’s a hefty piece of work weighing in at 87.5MB. That makes it bigger than some Windows 10 applications. Nevertheless, armed with free WiFi and a fresh SD card, I smashed the download button and took a tour of the company’s latest app. Initially, you’re hit with a login screen (naturally). At this point, if you’re logged into the Facebook app proper on your smartphone, Local should input that data and continue. However, if not, you’ll have to do this manually. You’ll also be met with a slot to input your base location, and then you’re asked if you’re keen to see what’s happening around you. When Local first launches, the “Explore” tab is what greets you, harboring a dual layer menu bar, a map with events grouped per suburb, and a “popular nearby” section. Within this menu bar the app lists grouped places of interests, from restaurants in the top left corner, to “more” in the right hand corner of the bottom bar. Tapping the latter opens a cascading menu listing these interests vertically. Rather oddly, it also contains the “Today” and “This Week” sections. If you haven’t a clue what to do on the weekend, these sections are a goldmine. Facebook Local lists a slew of events that I hadn’t even heard of, including a linguistics conference and a beach cleanup. Tapping on individual events opens a rather familiar event page layout, including the option to message the organizers, and more details regarding start time and location. Not particularly keen to save the penguins, you can also search for restaurants, bars and “attractions” though the app. Filters can also be selected, narrowing searches to “relevance”, interest from friends, and whether an establishment is open. But searching for restaurants is not a slick experience. For one, you can’t quite search cuisines or specific dishes in the app, unless a specific restaurant has “pasta” in its name. You can do this on Google Maps or Zomato, but not yet on Local. When you open Facebook Local for the second time, the home screen defaults to the “Today” tab, which hosts listings for events nearby on that particular day. It’ll also feature a horizontally-scrolling menu just below the events map, which is a nice UX touch for easy navigation. You also may want to use your default Facebook accounts too. Using my work account — free of friends — columns like “For You” and “Events” were left blank. These are seemingly recommendations for events from those in your Facebook network. So elements of the social network is definitely present, but it’s clear the company paid particular attention to events and connecting people through those happenings instead of posts and pokes. Essentially, Facebook Local mashes Zomato, Google Maps and Facebook into one complete gig guide. And it’s incredibly slick for a Facebook app. It may come in handy when traveling to new locations, deciding what to do within a given area code. Heading to London but not sure what’s on or where to go? Facebook Local’s event and attraction listings feature user reviews too, which makes it pretty perfect. Finally, it’s pretty easy to plan a weekend out too. 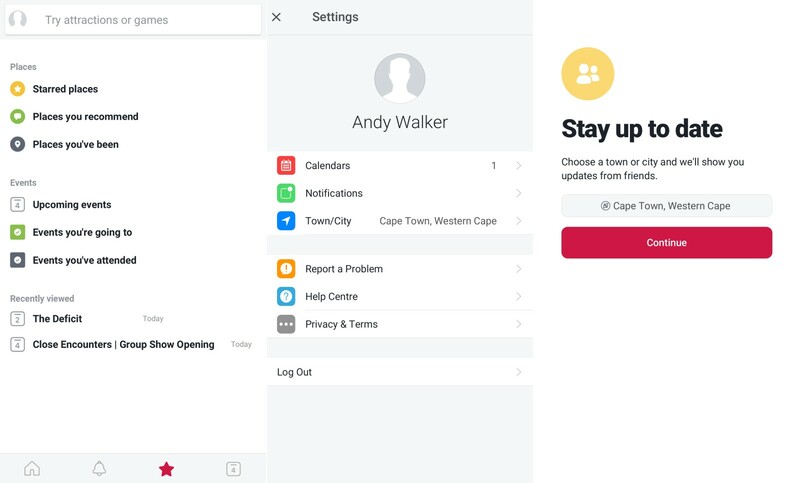 There’s seemingly no way to book hotels or plug the app into, say Airbnb or Uber just yet, but it allows users to keep track of future events they’re interested in fairly easily. Don’t get me wrong though: Facebook Local isn’t without its flaws. As I mentioned before, the restaurant searching system isn’t as advanced as its competitors, nor will it replace Google Maps, Zomato or Airbnb. You’ll also have to face the facts: it’s a Facebook app, and if you don’t like the company’s treatment of data — particularly since 2016 — you may just want to stave away from it completely. The app has permission slots for “calendar, camera, microphone, storage and location, but it seems that you needn’t enable those for basic functionality. And more importantly this app is huge and even for phones with 16GB of storage, it occupies the space of four apps. TL;DR: Disregarding its negatives, Facebook Local is possibly the best gig guide app you can download today. Its immensely broad listing of to-dos across a number of cities and towns makes it perfect for travel. Yes, it is a Facebook app, but you also needn’t have the “Facebook” app proper to use Facebook Local. That’s definitely a positive in my book.